The Proline PL49 Deluxe Music Stand is strong yet lightweight, with solid construction to support even the heaviest books. The adjustable angle desk is 19-3/4″ wide by 13-3/4″ high. 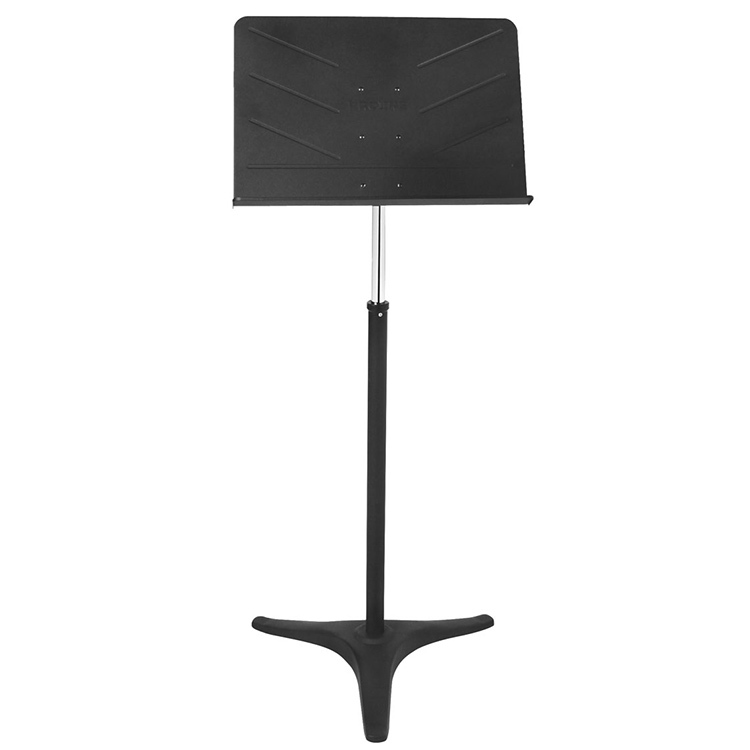 This music stand has a sliding height adjustment of approximately 24″ to 44″. It has a heavy-duty tripod base and is finished in black.